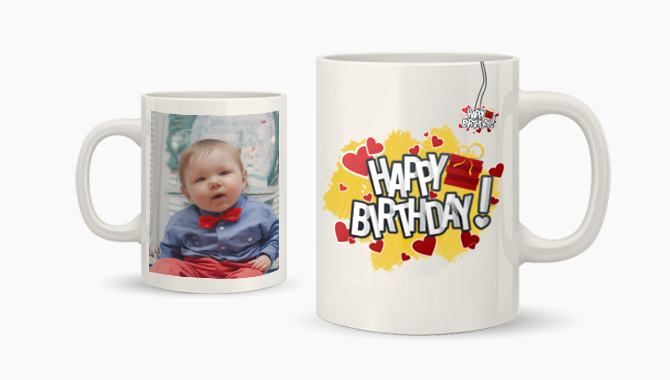 If you’re after promotional merchandise your customers will want to use again and again, why not give our high-quality (yet affordable) personalised photo Mugs a shot? With a spacious capacity of 11oz, your design will be printed on white, glossy ceramic resulting in bright, vibrant colours. Our personalised Mugs are 96mm x 82mm and are dishwasher and microwave safe. You can have your photos, text or logo printed on it in full colour. Coated Mugs go with any kitchen décor, and provide the perfect background for your own creative designs with words, photos or both. Magic Mugs go with any kitchen décor, and provide the perfect background for your own creative designs with words, photos or both. Mugs go with any kitchen décor, and provide the perfect background for your own creative designs with words, photos or both.